With its colorful buildings, quaint canals, and charming timbered houses, Colmar is the live version of your childhood’s fairytales town. The picturesque village - located near the border with Germany - is one of the best-preserved historical places in eastern France. For wine lovers, Colmar is also known as the capital of Alsace wine. 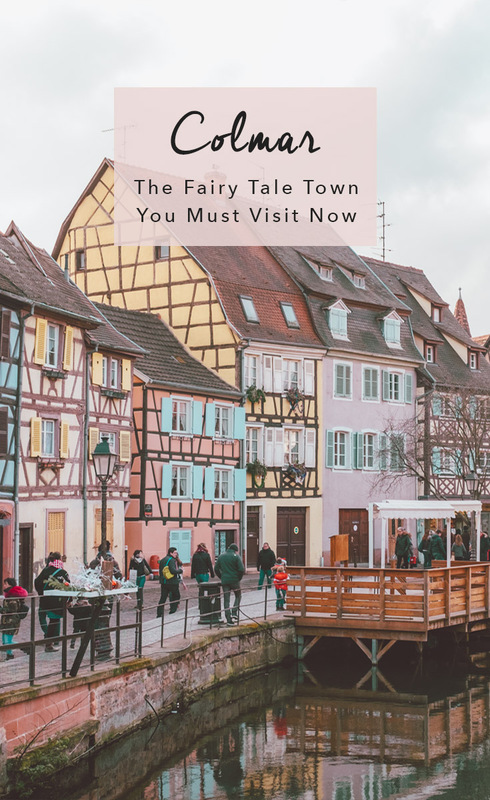 You may feel tempted to spend all day contemplating its architecture when you visit, but make sure not to miss these 5 fun things to do in Colmar France. Colmar old town is not only lovely but also rich in history. Buildings dating back to the 1400’s still stand in this small town. Some of the buildings to look forward to if you are a history buff: the Maison des Têtes, Dominican Church, Saint Martin Collegiate Church, the Pfister House - also known as Maison Pfister, - and the Old Customs House. Even if you don’t visit the inside of the building, strolling Colmar Old Town will transport you to another era. Although not as grandiose as Venice, Little Venice is truly charming in its own right. You can explore it either by foot, by strolling the Quai de la Poissonnerie, or by boat on the canal on a 30 min tour. Either way, you won't’ be able to get enough of half-timbered pastel-color houses and cobblestone roads. Part of the cultural experience is to try the local food! Colmar's gastronomy, like the rest of the region, is highly influenced by French and German cuisine; so don’t be surprised if you spot pretzels and sauerkraut. The Tarte flambée - a thinly rolled bread dough covered with fromage blanc or crème fraîche, thinly sliced onions and lardons. Yum! Choucroûte garnie – A dish of sauerkraut accompanied with smoked ham, sausages, and boiled potatoes. This is one of the most traditional dishes in the region and as you can see, highly influenced by German’s cuisine. Tarte aux poires – Alsace is also known for its pastries. So you don’t need an excuse to try them – it’s a cultural experience! The Tarte aux poires is a pear tart with a delicious egg custard filling. Bretzels – Don’t think because you have tried German’s pretzel you can skip bretzels! The soft pretzel is also a must when visiting Colmar. You will usually find it with salt but, If you want to try something different, get the one with cheese and ham on top. Bäckeoffe – Craving something hearty? Enters Bäckeoffe. A casserole dish made with layers of potatoes and three kinds of meat – beef, pork, and lamb. During the wintertime, this dish is heaven sent. It’s a nice place for a light breakfast or a coffee break. It’s located in Quartier de la Petite Venise or Little Venice, and you will find many of the mentioned food in the hall. There are several restaurants in and around Colmar awarded with 1-3 stars. Make sure you check them out and book in advance. L'Atelier du Peintre * - Offers modern French cuisine located in the center of Colmar. The lunch set menu is 33€, and a la carte ranges 47-85€. Make sure to make a reservation before popping up for lunch. Sipping the local wine is definitely a must when you visit the famous Alsace wine region. Like the cuisine, wine production is also influenced by the neighbor country Germany. Alsace is the only region to produce mostly varietal wines, typically from similar grape varieties to those used in German wine. Some of the Alsace wine varieties include Pinot Noir, Riesling, Muscat, Pinot Gris, and Gewurztraminer. After a long day, wind down at a local restaurant with an outside patio and enjoy a glass or two of Alsace famous wine. Don’t forget to grab a flûtes d'Alsace as a souvenir. One of the best things to do in Alsace is to explore the small villages in the region. If you are visiting Colmar with no plans to rent a car but, still want to check out other places, visit the nearby town Vieille Ville d'Eguisheim - no car required. Just rent a bike and ride to the village. Visit in December, and you will get to see the Christmas Markets – an experience you can’t miss. Colmar, like the rest of the region, goes all out during the holiday season. The decoration, smell of Christmas treats, and lively crowd will get you in the jolliest mood. Spring is a great time to visit Colmar. The town beams with bright, colorful flowers and endless rays of sunshine. As an added bonus, in April Colmar hosts their annual spring festival: Fête le Printemps. But the best time to visit Colmar if you ask me, it's definitely Christmas time! There is something magical about this town that makes Christmas feels extra festive. The old-town gets decorated with thousands of lights and ornaments while the Christmas markets fill the atmosphere with the intoxicating smell of delicious bites and chaud vin. If you are not touring the Alsace region by car like we did, Colmar is also accessible by train and bus. From Strasbourg, Colmar is only an hour away by train, which means you can easily hop on and go on a day-trip. You can also arrive from Paris by train on a four-hour ride. Colmar train station, Gare de Colmar, is located outside of the Old Town. But luckily, it’s only a short-walk away from the old town. If you are up for a road-trip, Colmar is located on the Alsace wine route - one of France's world-renowned and beautiful wine regions. Which means, lots of picturesque towns nearby that you would not want to miss. Check out my Alsace Wine Route road-trip itinerary here to help you plan it. If you are driving to Colmar, keep in mind that there’s no parking in Colmar Old Town. But, there are a couple of parking lots nearby - at walking distance. We parked at the nearby lot Parking Lacarre and walked to the center. Here’s a full list of the parking lots in the area and additional information. 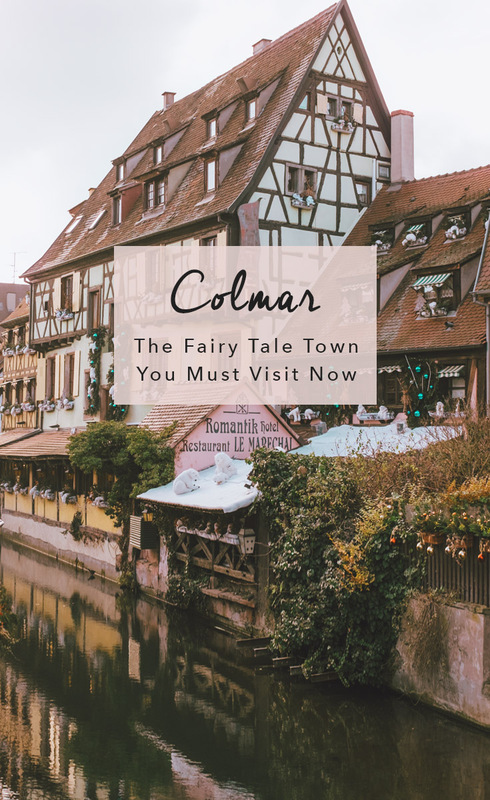 Pin it if you would like to visit Colmar!